We're delighted to welcome you to the official website for Wedington Animal Hospital in Fayetteville AR, your furry family's new best friends. Any Fayetteville veterinarian on our impressive team can provide your pets with the care they need for a happy, healthy life, from routine wellness procedures to advanced techniques for life-or-death situations. We love animals as much as you, and we understand that you're looking for more than just a veterinarian in Fayetteville -- you're looking for caring practitioners who build genuine, trust-based relationships with pets and owners alike. That's us. Need a Fayetteville Veterinarian? We Have a Whole Team Ready to Serve You! Many vet facilities depend entirely on a single Fayetteville veterinarian, limiting their ability to serve the needs of area pets as effectively as possible. 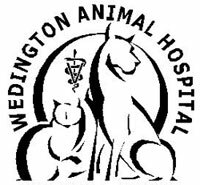 Wedington Animal Hospital has no fewer than six highly skilled, experienced veterinarians, each ready to provide the highest standards of diagnostic and treatment services. Our team also includes multiple veterinary technicians/assistants, groomers and administrators to ensure that your pets get the care they need, when they need it. Wellness care - Regular wellness exams are the key to maintaining optimal health in your pet. We also provide preventative measures such as vaccinations, parasite protection and more. Dental care - We can keep your pet's teeth and mouth healthy through regular dental exams, deep cleaning to remove tartar, and treatment of conditions ranging from gum disease to oral tumors. Microchipping - Microchipping is an important step for identifying your lost pet and reuniting him with you. This non-surgical procedure links your pet to contact information stored in a national database. Internal/external medicine - Your veterinarian in Fayetteville can treat skin problems, internal and external infections, systemic disease such as diabetes or hypertension and a variety of chronic conditions. Pharmacy - We maintain a well-stocked pharmacy so you can obtain your pet's prescription medications easily and efficiently. Surgery - We provide spay and neuter surgery, orthopedic reconstruction, cancer surgery and many other surgical services. Emergency care - Trust Wedington Animal Hospital for prompt emergency care. We can address lacerations, fractures, poisoning, heat stroke and any other emergency your pet may experience. Stem cell therapy - Our MedVet stem cell therapy is an exciting innovation in healing and pain relief. Your pet's own stem cells are employed to relieve osteoarthritis, injuries and other painful problems. Boarding and grooming - Your boarding services can keep your pet safe and healthy while you're away. 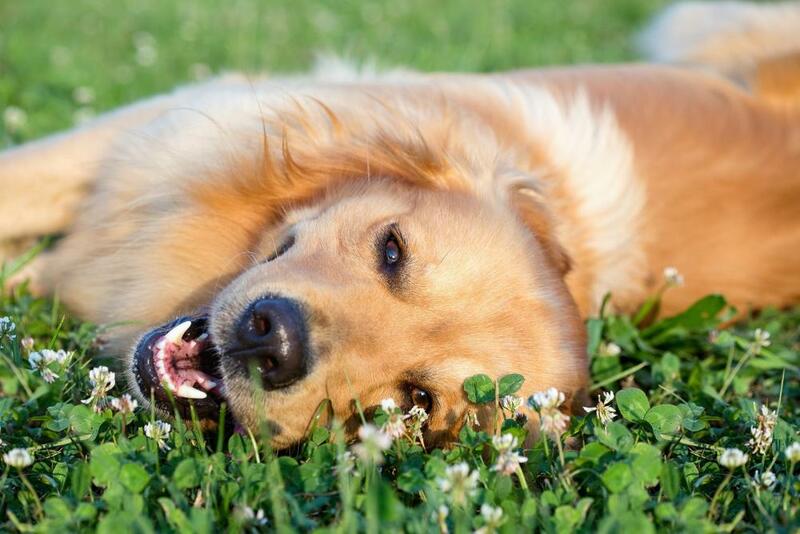 Grooming conveys important health benefits while also making your pet look/smell terrific. The only way to fully experience our many features is to visit us in person. Call (479) 444-6600 to schedule a visit to Wedington Animal Hospital! Our team is committed to educating our clients in how to keep your pets healthy year round! Learn more about your Fayetteville Veterinarians here. "Wedington animal hospital has the most amazing staff. They saved our beloved dog and treated him like he was a part of our family not just a dog. The doctors are knowledgeable and compassionate. We would recommend them to everyone." "The ONLY place I take my dog to. They've been so helpful with any issues my pet has, from sensitive skin issues to seasonal fleas & ticks. They were there at midnight once for an emergency. I moved 70 miles away 2 years ago & I still drive my baby to this vet because they simply are that good & caring!! Good Grooming is available as well." "Loved the staff as well as the doctor who took great care of our 2 cats. They were vaccinated and micro chipped without feeling stress of any kind. One of my cats gets extremely stressed usually during vet visits and this was the first time I saw him as cool as a cucumber. I am so glad my colleague recommended Wedington to me :) I would recommend them anytime!!" "Excellent experience. Everyone was very friendly, and the wait time was reasonable. We look forward to coming back."